I've assembled, primed and started painting my tau kill team. I used fire warriors mixed with chaos marauders to make the models. 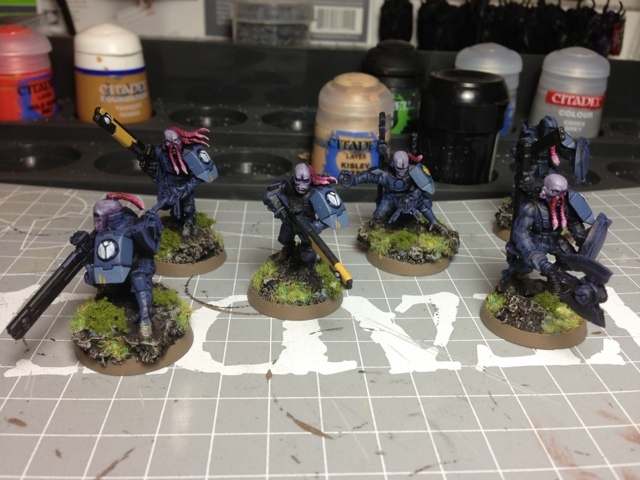 I had to shave off the noses and put a slit in the foreheads, but I'm happy with the results. 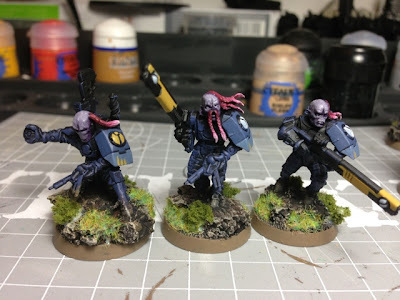 I also decided that since the Tau are basically the anime army of the Warhammer 40k universe, that I would give me pink anime rave hair. I needed a contrasting highlight color and this seemed like a win. Besides, they're aliens!! !